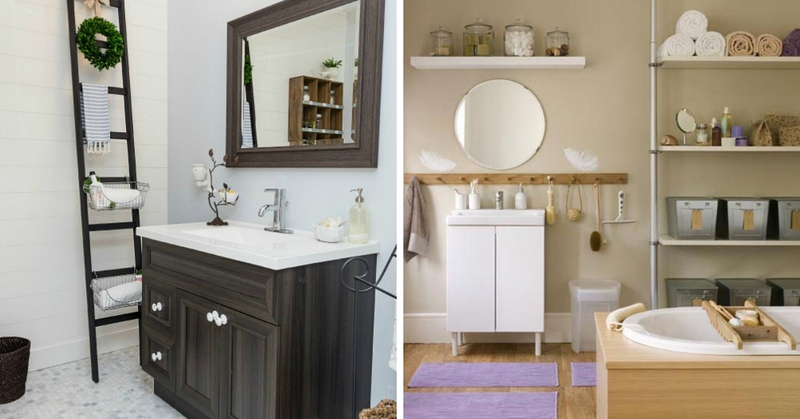 The bathroom sees a lot of action in a day and a lot of these actions are meant to keep you clean and groomed but is the condition of your bathroom just as neat? We understand that it isn’t easy to keep it always pristine so that’s why we’re here to help you with a few useful tips! The bathroom undeniably gets splashed with a lot of water which causes scum and mold to build up really quickly. Stop them from accumulating by spraying some water repellent on your tiles, walls and any surfaces that regularly faces this problem for easy cleaning in the long run. Many of us have a lot of our toiletries lying around the edge of the bathtub, on the floor or even on the sink. Pretty soon, annoying little rings start to form underneath even after you have cleaned them not long ago. Avoid this by putting your toiletries in a hanging shelf or organiser that allows water to drain through. With so many different types of soap out there, we’re definitely spoiled for choice when it comes to choosing our preferred toiletries. However, if you want to minimise the grunge that builds up in your bathroom, it might be better to not use bars of soap as they often get grimy quickly. Whenever you bring in anything new to the bathroom, make sure that it has its own place inside and every time you have finished using it, always put it back properly. It’s also good to invest in pretty containers that will make your bathroom look stylish and neat. It can be very tempting to place your daily essentials on the sink for convenience sake but don’t do that as it can make the area look very messy. Instead, you should tuck them away in closed cabinets or drawers where you can also access them with ease.